There is a great number of possibilities to spend your evening in St. Petersburg - we have more than 70 theatres, a lot of concert halls, a world famous philharmonic society and un unforgettable Russian circus, but there are two things which are the most famous and popular with our guests, and these are ballet performances and folk-shows. 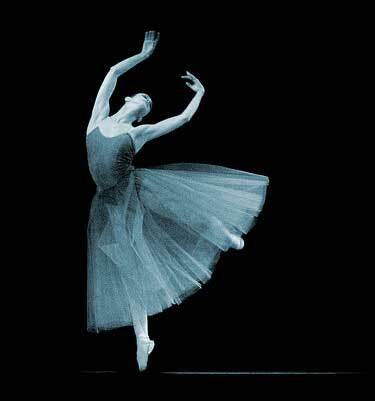 Russian ballet is first of all classical ballet, which keeps the traditions of the 19th century. It doesn't mean that we don't have modern ballet, we do have it, and it is very good modern ballet (for example Boris Eifman's Company). But it is classical ballet that is really unique, because nowhere else in the world it is raised to such a high level. We have quite a number of theatres where you can see ballet but the most famous of them is of course the Mariinsky theatre (also known by its former name - the Kirov theatre) - our leading Opera and Ballet House. Tickets are usually rather expensive but visiting it is no doubt worth all the money. NB! The repertoire of St. Petersburg theatres is changing all the time and is usually set for the coming month only. Within this term we will be pleased to offer you the best performances for each particular evening, to book tickets and to deliver them to your hotel upon your arrival in St.Petersburg. No doubt the best place to see the Folk-show in our city is the Nicholas Palace*. It is an outstanding building which was designed in 1861 for the Grand Duke Nicholas by the German architect Stakinshneyder. During the Folk-show which is named "Feel yourself Russian" you will see entertaining Russian folk singing and dance performed at a highly professional level, also you will feel the friendly and festive atmosphere of evening. In the interval you will be offered a fourchette - some champagne, some juice and small sandwiches**. You will indeed feel a real guest of the Grand Duke. NB! If you order tickets to the Folk Show "Feel yourself Russian" through this website we will be very pleased to offer you a discount, and deliver your tickets to the hotel. We are pleased to invite you to our musical evenings at Grand Duke Vladimir's Palace. Enjoy much loved masterpieces of Russian classical music by Tchaikovsky, Rimsky-Korsakov, Glinka, Shostakovich and many other outstanding composers in refined atmosphere of 19th century palace. The program of the evenings includes a welcome drink in one of the most beautiful halls, a brief tour of the palace, a small surprise from St. Petersburg artists and the concert itself. Among musicians there will be Mariinsky theater soloists and laureates of International Contests. The performance will take place in the magnificent Musical Hall. More detailed information about this event you can be found here. * There are several other places in St. Petersburg where you can see the Folk-show; we can provide tickets to those places as well. ** The price of the fourchette is included into the price of the tickets.